We are always looking for talented architects to join our team. Applications must have good level of spoken and written english. Applications including a portfolio and a resume in PDF format (no larger than 8MB), can be submitted now. Any project starts by building a dream. Fueled with curiosity, exploration, experimentation and playfulness our initial, creative design process starts by establishing a dream that excels the conventional, in order to ensure unique and innovative design solutions. Concurrently we undertake thorough and professional research analysis, adopting inventive technical solutions which we use to plan the realisation of the project. Once a satisfying synergy between the initial dream and plan of actualisation is established, the building process can begin. Current projects include two office buildings and a masterplan in Denmark, a restaurant in Melbourne, interior projects in London and several private villas in Denmark. Ax Jensen & Goehring Architects are currently teaching at The Architectural Association School of Architecture in London. Despite its young age the practice has already produced and completed a string of successful architecture and interior projects. Based in Copenhagen, Denmark, the office culture actively combines the local Danish design and craft traditions, with the use of modern and emerging technologies in the building- and engineering industries. We care about aesthetic details and aim for sustainability through design, by focussing on enduring spatial and material design solutions, that unfold in relation to the physical, organisational, social, cultural and economic context of each unique project. a broad and knowledgable perspective on all aspects related to architectural design and planning. “Eye level experience”. Our architecture, at all scales, takes it starting point in the spatial experience from eye level. We believe that architecture should be sensed and experienced through the user’s presence. “Aesthetics”. We engage any project with a critical reflection on art, culture, nature and history, and put high priority on aesthetic quality in all our projects. “Modern tactility”. We put emphasis on combining traditional materials and craftsmanship with new forms to obtain a modern expression, combined with contemporary functionality. “Social adhesion”. Keen awareness of the stakeholder’s true vision and its manifestation in the architecture, is a hallmark of our work which endears the works towards the greater society at large. 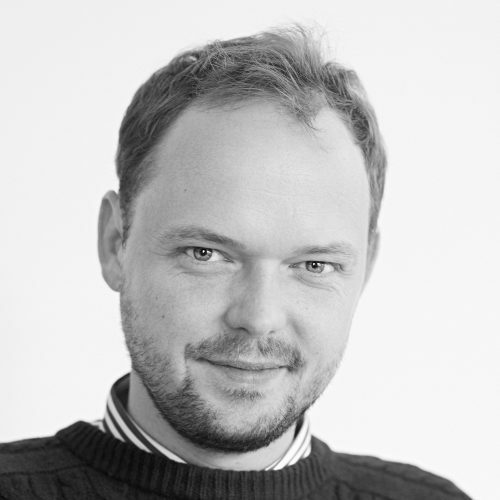 Kasper Ax is a Danish architect, designer and researcher. He earned his Master and Diploma degrees from the Bartlett School of Architecture in London. 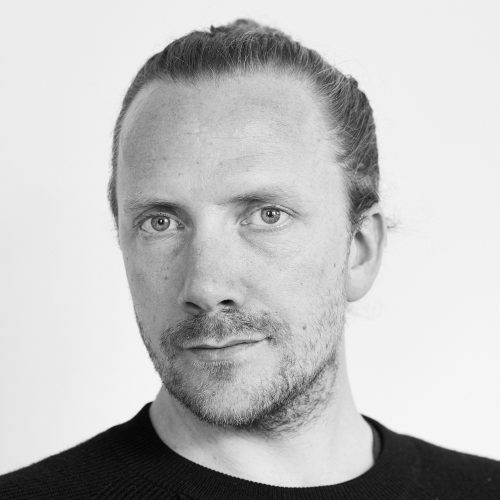 Prior to founding AJGA, Kasper was an Associate Architect at LASSA Architects (UK) 2009 – 15, and previously worked in other high profile architectural practices such as Asymptote (New York). He has taught at the Architectural Association (UK) since 2009 and previously at the Bartlett, the University of Westminster and KADK (DK), where he was a researcher at Center for Information Technology (CITA) from 2015- 2016. Kasper’s work has featured in various exhibitions including The Venice Biennale and has been published on various websites and design magazines. Thomas T. Jensen is a registered architect in Denmark (MAA) and in the UK (ARB). He holds an M.Arch II with personal distinction from the AADRL and a Cand.Arch from Aarhus School of architecture. 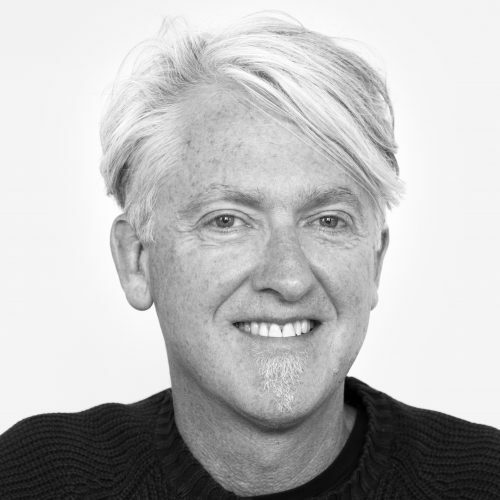 Prior to founding AJGA, Thomas worked for several years as a Senior Architect at Zaha Hadid Architects. Prior to this he gained valuable experience with several international practices inluding LASSA, SDA, Work AC and 3xN. He has taught at a number of schools around the world including the Architectural Association and The Bartlett (UK), Lund University (SE) and KADK (DK). He has lectured widely and his work has been published in various contemporary magazines, books and international reknowned online design blogs. AJG Architects are proud to be associated with our clients and collaborators. We always seek a close relationship where innovation, exchange of ideas and ambitions are encouraged. We strive to provide the optimal service to our clients by identifying and enhancing the implicit qualities of any project. On the next page you will a full client list.